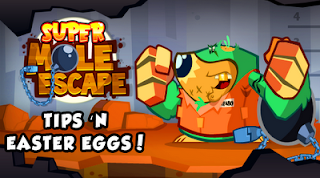 World's First "Legendary" Super Mole Escape Player! 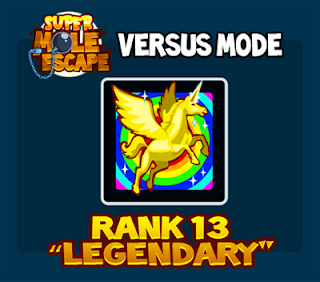 If you've been hittin' the dirt in Super Mole Escape's Versus Mode, you've probably noticed the nice 'n shiny Rank Badge next to your name. 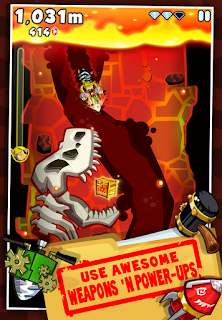 These are awarded every time you "Rank Up" from winning a match, alongside a special title to commemorate your digging prowess. 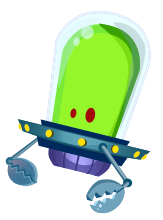 There are 13 Ranks in all, and as of last night we've seen the world's first player to climb the ladder all the way to the top and reach "Legendary" status! 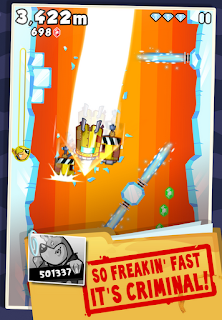 FunnyFaceRick is the first "Legendary" Player! 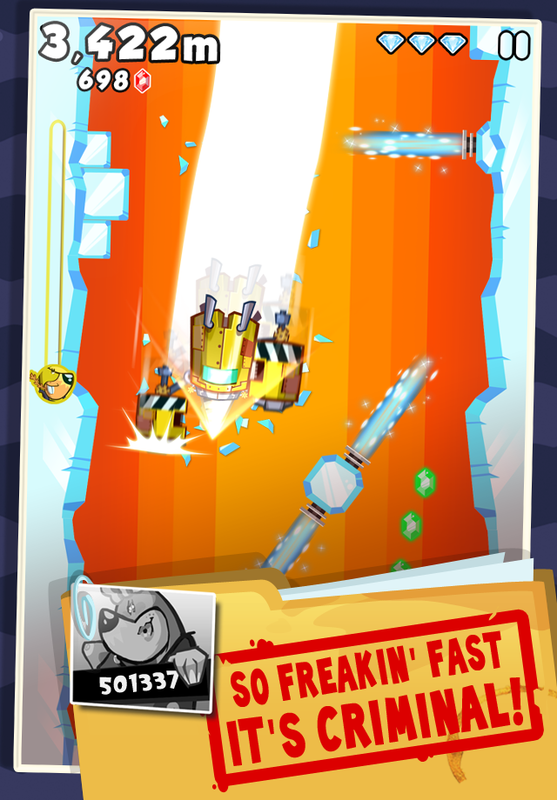 One week since the game's release, Game Center player FunnyFaceRick has won over 300 Versus matches! Congratulations, FunnyFaceRick! We're absolutely blown away to see this feat accomplished so quickly... and mildly frightened. New Game! 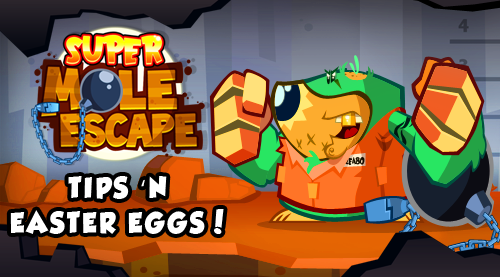 "Super Mole Escape" Now Available! 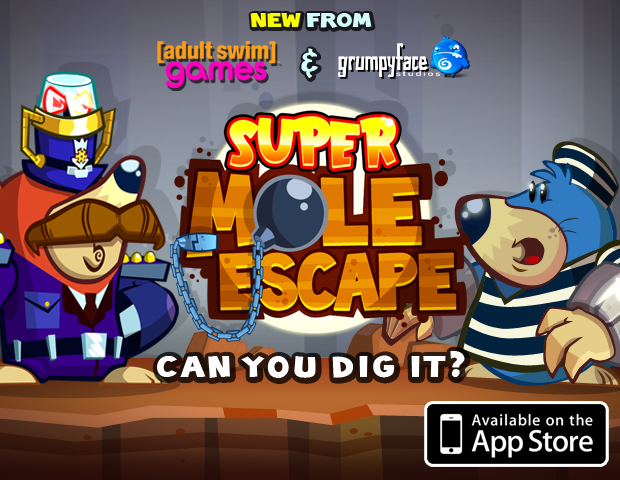 We've once again partnered with Adult Swim Games to bring you our third iOS game "Super Mole Escape"! You can grab this fast-paced yet easy-to-learn endless racer for $0.99 on the App Store, and it's Universal for the iPhone, iPad, and iPod Touch! 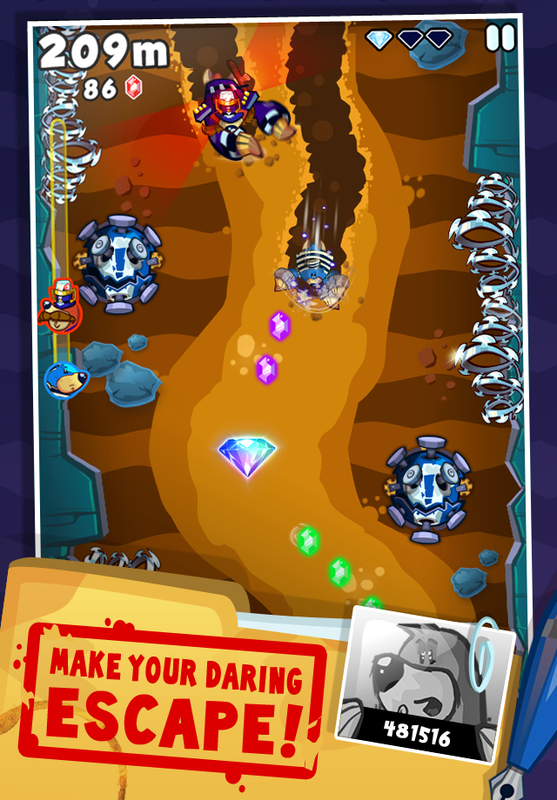 Click here to view on the App Store! Can you dig it?? 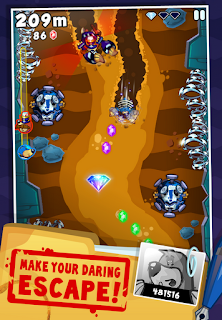 We're very excited to announce our 3rd game, coming tonight for iPhone and iPad: Super Mole Escape! 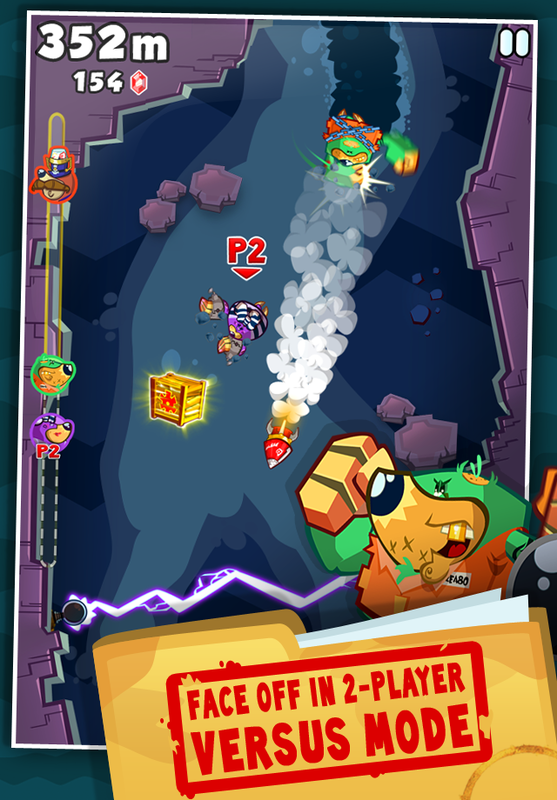 This is also our second collaboration with our friends at Adult Swim Games. 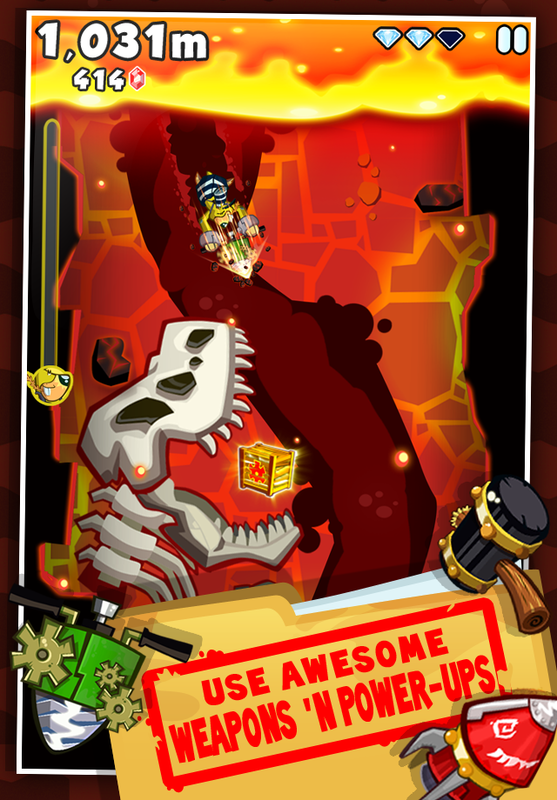 Look for it on the App Store at around 9pm PST tonight, and check back tomorrow for more info! While you wait, why not discuss this new hotness in our new Super Mole Escape Forum ? Well, we've definitely been quiet this year, as far as this dusty ol' blog goes. The team has spent that time toiling away, deep in the depths of our studio man-cave, and from these dark efforts new life has been wrought... and by 'life', I mean "video games"... and by 'dark efforts', I mean "drawing pretty pictures and rapidly poking at keyboards". We have not one, but TWO shiny new projects to unveil very soon, both of which slated to be released this year. The first of which we're hoping to reveal next week, so stay tuned!